Aluminum UBC Scrap, offered by us, is a magnetically separated material which is free of steel, lead, bottle caps, plastic cans and other plastics, glass, wood, dirt, grease, trash, and other foreign substances. Our Aluminum UBC Scrap is processed at our sophisticated manufacturing unit and at par with the international standards of the quality. 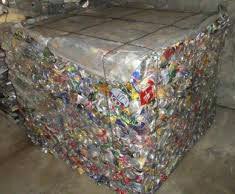 We are a prominent Aluminum UBC Scrap Exporter and Supplier from Thailand. We can process bulk orders as per the buyer’s requirements.